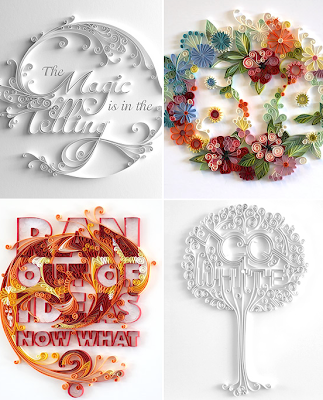 Russian-born illustrator and designer Yulia Brodskaya has created some really interesting typographic illustrations, known as “PAPERgraphics”. I dig not only the dimensional quality and shadows created by the work, but the style and craftsmanship makes this series impressive and inspiring. Additional PAPERgraphic samples can be viewed on Yulia’s site — they are definitely worth checking out.